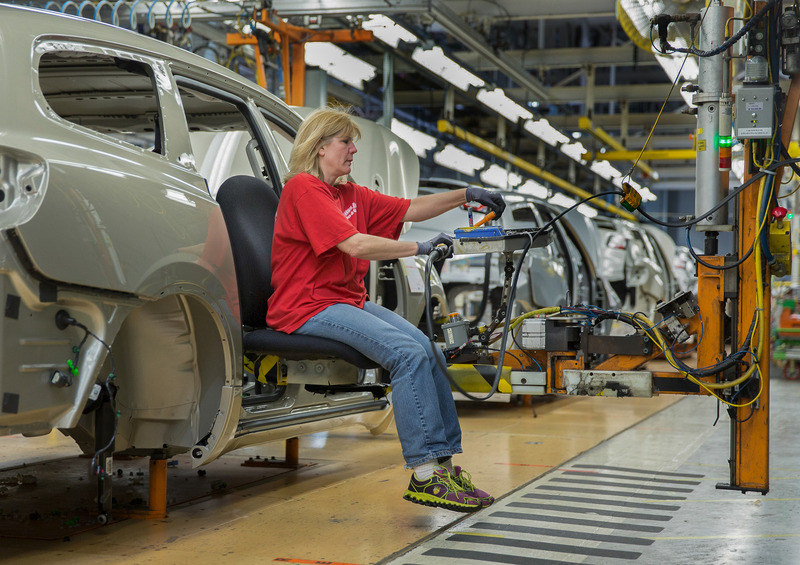 Earlier today, General Motors– in unison with the UAW– announced that it will be investing $5.4 billion into plants across the United States over the next three years. Among the investments, GM said that approximately $783.5 million will be going to different Michigan plants, including GM’s Pontiac Metal Center and GM’s Lansing Delta Township Assembly Plant. As far as the other $3.6 billion is concerned, well, GM has yet to announce where that money will land. This announcement is, of course, part of a follow-up from GM’s January announcement in which they said they were planning on increasing overall spending in 2015 to $9 billion (up from $7 billion just last year). “These investments are evidence of a company on the move, strategically investing in the people, tools and equipment to produce cars, trucks and crossovers that are built to win in the marketplace, with stunning design, quality and breakthrough technologies,” says GM North America President Alan Batey. While the ethics of GM’s bailout (and other obvious actions) can certainly be debated, the results can not be. Since the 2009 bailout, GM has re-emerged as a money-making machine that has created thousands of jobs in the United States. In fact, in total, the company has now invested a total of $16.8 billion since 2009, helping to create a total of 3,650 new jobs while also retaining 20,700 others. So, what do you think of GM’s bounce back? Unethical? Or just what the country needed? This entry was posted in Culture, GM and tagged bailout, General Motors, GM, investment. Bookmark the permalink. Ben Affleck’s New Batmobile Has Arrived… What Do You Think?